Gemini you're up! Your independent, clever, impulsive, energetic, and witty character makes you one of our favorite astrological signs. 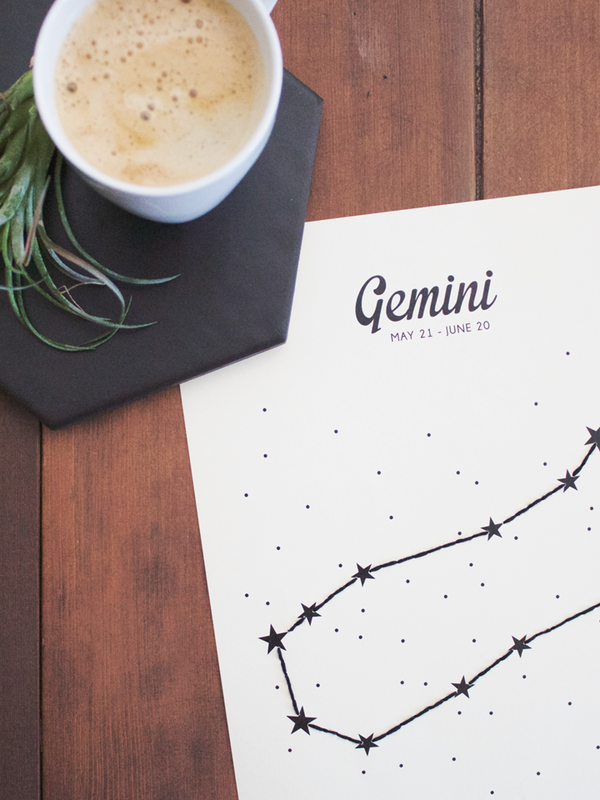 Learn more about Gemini and download the Astrology Stitch Poster below. "Gemini people do not sit back and watch the scenery go by. As a Gemini, are you endlessly curious about everything and must be part of it all. Duality is your most famous trait. You usually want more than one of everything. That includes jobs, hobbies, careers, and lovers. Basically your nature is restless, on the go, in quest of new ideas, and fresh experiences. Things get very dull for you unless you have a constant change of scenery. Variety is your game. As a result, you often leave a trail of unfinished tasks. Your tendency is to fritter away energy on too many projects instead of concentrating your cleverness on one task." 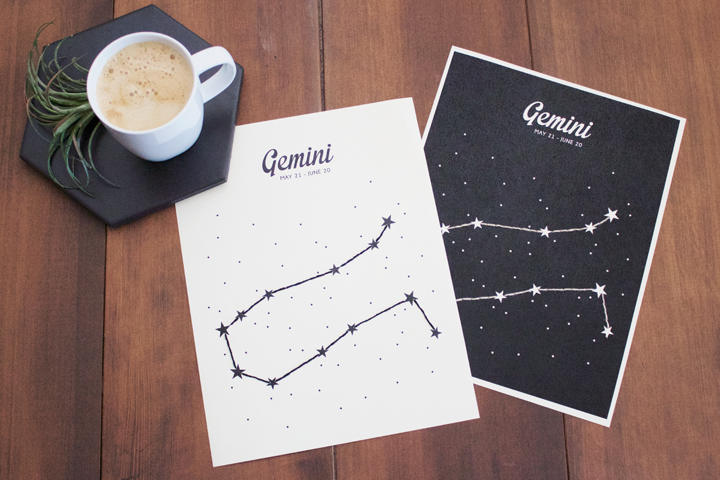 Download our Gemini print - white or black. Print on heavy card stock to prevent bending or creasing. Take your favorite color embroidery thread and back stitch along the dashed line between the stars (making sure to go under the stars with your thread). It's that simple! 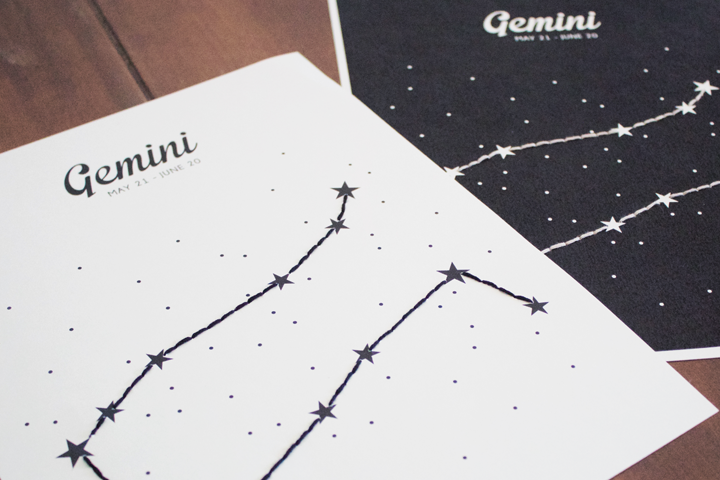 Check out our other free downloadable Astrology Stitch Posters here. And share your astrology stitch cards with us by tagging your photos #foxtailmakes. PS. Make sure you check in with us on Instagram today. There's an extra special exclusive giveaway going on and you don't want to miss out!